You might think of goal setting and creating personal performance measures as modern developments. However, Benjamin Franklin pioneered these techniques. In addition to contributing to the United States as one of its founding fathers, Benjamin Franklin was also an author, printer, politician, freemason, postmaster, scientist, inventor, statesman, librarian, and diplomat. Franklin only received two years of formal education, but continued to learn throughout his life by reading voraciously. Resolution: Resolve to perform what you ought; perform without fail what you resolved. Chastity: Rarely use venery [sexual indulgence] but for health or offspring, never to dullness, weakness, or the injury of your own or another's peace or reputation. Rather than attempting to master all of these virtues concurrently, Franklin decided to focus on conquering one at a time, but still track his transgression of the others. To accomplish this, Franklin created a "little book, in which I allotted a page for each of the virtues." Each page list a virtual with its description at the top with a grid filling the rest of the page. The grid listed the first initial of each virtual in the first column. Franklin used 7 additional columns for the days of the week. For each virtue, Franklin recorded his faults by placing a small dot in the appropriate row and column. He focused on improving a single virtue for the duration of a week. Thus, he was able to repeat this cycle four times within a year. By tracking his progress, he was able to see his improvements over the course of a year with the goal of "seeing on my pages the progress I made in virtue, by clearing successively my lines of their spots." As I wrote my memoir, I tracked my progress every day. I used an Excel spreadsheet to record the number of words written, length of writing time, location, and time of day. At the end of the process, I was able to quickly determine when and where I was the most productive. 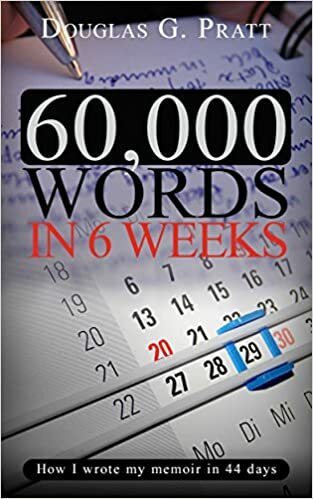 You can read about my experience in my e-book, 60,000 Words in 6 Weeks. I believe that my motivation would have diminished had I not been able to review my progress each day. I encourage you to track something for 30 days. My post on collecting measurements is a great primer on getting started.